In Devil with a Red Apron on, David Leite recounts the trouble, frustration, and exasperation of trying to learn his family’s favorite Portuguese recipes from his mother. Enter my mother’s kitchen, a domain she’s ruled with benign autocracy for more than 59 years, and all physical laws and culinary edicts cease to exist there. It’s like finding yourself in the loony world of a Warner Bros. cartoon where pain is comical, time and space are elastic, and gravity acts as if it never heard of Sir Isaac Newton. For example, when making garnish for a dish, my mother will grab a gargantuan bunch of parsley and, with the ferocity of the Tasmanian Devil, buzz through it in seconds, leaving a thimble-size pile of green flecks. She is a human Ginsu knife. Apparently, in her kitchen, short tempers seem to cause short cooking times, too. Proof: She will fill a pot with water, dump in three fistfuls of dried fava beans, add a 10-ounce link of Portuguese sausage, called chouriço, and crank the flame to high. If she’s had a rough day, she’ll give the pot a hooded glance, and the soup is roiling in minutes. Whoever said a watched pot never boils never knew my mother. On her “Me Days,” though—peaceful afternoons when all she has to do is write several dozen e-mails, wash and iron my father’s underwear, and reorganize the silverware drawer—she’ll go through the identical process of soup making. Yet the pot, even though set over the same heat, will only burble, never boil, no matter how long it’s been on the stove. Considering her preternatural ways in the kitchen, it’s no wonder that until the age of 12 I was terrified that I was a real-life Damien, as depicted in the film The Omen: a prepubescent possessor of dark and supernatural powers. But despite her ample gifts at the stove, she has one of the worst batterie de cuisine in New England. Search her cupboards and cabinets, and there’s not a cookbook, measuring cup (save the one she got from Weight Watchers in 1964), or measuring spoon to be found. The one knife she does have is older than me, and every so often my father trundles to the basement, puts on his protective goggles, flicks on the rotary grinder, and files off another sixteenth of an inch in the name of sharpness. It was into this anarchic and wacky kitchen that I walked to learn our family’s repertoire of Portuguese cuisine. I began by pestering my mother for recipes, which proved futile because I soon discovered she didn’t cook with any. Sure, tucked away in a bedroom drawer was a green leather-bound telephone directory (circa 1958) filled with a sizable collection of recipes that she had carefully transcribed onto its gray pages—under the correct alphabetical tab, of course. But these recipes were so lackluster and ordinary, nothing like the dishes she makes nowadays, that my only recourse was to cook with her. So there we stood, side by side, weekend after weekend: her chopping, dicing, poking, and pounding, and me frantically scooping ingredients into measuring cups or weighing them on a scale that I’d brought from home before she could elbow her way to the stove and toss it all in a big pan. “Measuring cups are for wimps,” she warned, pointing her knife at me. Then she held out her cupped hand: “This is all you need.” I put my hand alongside hers; it was three times the size. “You really want to know what I do?” she asked tenderly. “Then stand here for the next 43 years, and you’ll get the hang of it,” she said. “How do you like them bananas!” And with that, she directed her superhuman energies to sawing through five pounds of onions—all without shedding a tear. Out of desperation, I hit upon the idea of videotaping her cooking. That way she could whiz about and improvise as much as she wished, and all I’d have to do was keep rewinding the tape until I deciphered the recipes. And improvise she did. If a three-pound pork shoulder wasn’t available for a dish, in went a four-pound chuck roast. “When will it be done?” I asked of the unusual substitution. “When it’s done,” was the standard-issue answer. If a trip to the local fishmonger for two dozen littlenecks was a bust, she’d make a quick calculation then swap out a dozen quahogs or two quarts of Ipswich clams. Vegetables were the worst, though. For the past 25 years, the entire family—all 66 of us—assumed long before I was baptized that the 15,000 square feet of land beyond my parents’ yard would be given to me when I turned 21, so I could build a house. That’s what you do when you’re Portuguese: cook and bequeath land. Sensing my reluctance, given that I had my heart set on New York City from the time I was 10 years old, my father commandeered the plot and turned it into one of the most astonishingly fecund gardens in the Northeast. That meant armfuls of corn, fava beans, potatoes, cabbage, kale, tomatoes, onions, squash, and carrots were added to my mother’s nightly improv. So what if her carne assada (roast beef) calls for potatoes? The carrots were perfect that day, so in they went instead. Her New England boiled dinner looked a little anemic? No problem. A half head of cabbage, a few turnips, and a splash of my father’s homemade white wine were added for good measure. By this time I had gone through more footage than Quentin Tarantino did while filming the monumental Kill Bill. But after five years of skirmishes, I triumphed. I finally cobbled together a surprisingly reasonable facsimile of our beloved family dishes, some of which my mother even approves. Not long ago, I was in my kitchen making a decidedly unPortuguese meal—marinated flank steak, thyme-and-rosemary-flecked potato wedges, and honey-lavender salad dressing. And although I had my laptop and a magazine sprawled open on the counter, I barely took a look. While my measuring cups and spoons sat on a shelf, I found myself freelancing at the stove, tossing in a handful of herbs, sprinkling a good four-finger pinch of fleur de sel, turning the balsamic vinegar and soy sauce bottles upside down to let the liquid glug into the Pyrex dish until it felt right. Bastante, I heard my mother say. Enough. Remarkably, the dinner was wonderful. A guest asked for the recipes and as I got up to get them, I realized there really were none. After all those years of cooking (read: battling) with my mother, she had taught me to rely upon my senses instead of a book to make something out nothing. Maybe I am Damien after all. Originally published May 3, 2004. Illustration © 2004 Amanda Duffy. All rights reserved. All recipes and photos used with permission of the publisher. Great I love your Mamma, I’ll bet all her meals are fabulous. Thank, Rosa. momma Leite’s pretty neat. Thank you for your kind words. You made our day! I owe my cooking skills to my late Mama Costa…..and the beat goes on! Sounds like we must be related! What a wonderful tribute to a wonderful cook and mother! The lessons we learn in the kitchen are ones we carry with us all through the house. Thanks so much for letting us learn with you. My pleasure, Karen. Glad you got something out of it. Delightful evocation of personal memories! Allow me to provide a daughter’s twist. When my folks would visit us in western North Dakota [not the state with the heads!] mom would do her best to help prepare meals for 4 grandsons plus the other mortals present. Whether they were half a mile from the house or much further the potatoes always came out just right. LOL! It’s amazing how these homey dishes require no set recipe to make them work. Thanks for sharing your delightful Mom/daughter story! Those skillet potatoes sound scrumptious! Your response, “Till I come back in with the horses!” is a classic! Happy Mother’s Day, Mrs. Leite! A great and caring woman in so many ways….and the apple did not fall far from the tree. Really enjoyed your story….what a wonderful legacy your Mama left you and because of your blog, she left it for us as well. She has given me—and all of us, really–a legacy because of what’s she’s taught me—and especially her sense of humor. We’re glad you enjoyed David’s story. With his writing skills and humor, we make a great team! I cook—he writes and we all laugh! Poppa Leite stands in awe! Cook with what you have and recipes be damned-isn’t that what a good meal is all about? A lost skill. Thank you Mr. Leite for sharing your culinary journey with us. Always a delight! Artoeat, my pleasure. So glad you enjoyed it! Thanks for “being in my corner” regarding my “winging it” culinarily! The only way to go! What a wonderful story David, thank you for sharing the spirit of your mother with us all. Thanks, Elise, it means so much coming from you. Lovely piece. This is why I appreciate my mother-in-law so much. The woman makes *everything* from scratch, deliciously. (She also, BTW, irons underwear etc., like your mum). And when I ask her for recipes, she’ll show me, and meanwhile describe her every addition in approximate cup and tablespoon measures. She’s a born recipe-developer. What a woman! Thanks, Jacqui. Your mom-in-law sounds great. Big question: Do you iron your husband’s underwear?! The ironing of the underwear is something David will haunt me until God calls me home! Imagine your kid telling the world! Hee hee. I still do it—neat kitchen and neat underwear draw! A really beautiful tribute to your Mom, David. And, a great reminder that when we cook intuitively, with our own senses for time and quantity, we learn so much more. Thank, nakedbeet. Look like Momma Leite’s becoming a (well-deserved) star here. Imagine: being upstaged by your own mother!! Loved the clams recipe you did on the Today Show. I made it this weekend. I’m sorry that I altered it a bit. Our stew had the red shrimp on sale, and I knew the broth would be fantastic. The dish came super–Leslie loved it, and so did I. Hey, Joel. Thanks for writing. I didn’t know you had grew up in such a food family. Glad you liked the clams in a cataplana recipe. You didn’t alter it at all. Shrimp, and all types of fish, is a common addition. Happy Mother’s Day in advance, Momma Leite! Hey, Ling—wow, you’re already like Momma Leite? At your age? MY momma, David, my momma!! :D Typical answer from her when I ask, “so how long do it cook this for, then?”: “until your heart tells you it’s ready.” Hm. Thought you said my momma was like you! Love your mother’s “done” quote. Dear Ling, Thanks for your Mother’s Day greeting. I love your Mom’s answer–right from the heart. The only way to go. Hi Momma Leite–hope you’re being spoiled by the family today! I’m honored to sound like your Mom! I’m in “major” company. Thanks for your Mother’s Day wishes. With David, how can we miss? David: Wonderful article… as usual! Hats off to your mom!! I also grew up Portuguese and in the same manner as you- by watching and remembering (my avos- grandparents- and my dad.) And all those wonderful “taste-tests!” Those “recipes” turned out such memorable (and delicious!)dishes. I can still see them bustling around their kitchens! And that wonderful aroma! Those recipes are, now, very well-coveted by only a few of us in the family that still actually use their kitchens for cooking and make homemade meals. This article brings back so many great childhood memories. Thanks! Joyce, thanks! We do have a lot in common, don’t we? So much of what you described, I experienced, too. It’s as if it’s in our DNA. I hope you continue to make the dishes of our heritage. We have to pass on that knowledge to the next generation. David, That was a quick response! Already doing that with my daughter, who is fifteen, and, surprisingly, interested in our family’s culinary “history.” We spend a lot of time in the kitchen together. It’s great because she’s learning about cooking and baking, but most of all, I’m telling her family stories that relate to the stuff we cook. It’s a great bonding time we have together. Joyce, well, I’m at my computer all the time, so that explains the quick answer. So wonderful that your daughter is learning the ropes, so to speak. And keep those family stories coming. They’re important—they are, in the end, what ties us to the past. And, I’m sure Momma Leite will have some thought about you, a nice Portuguese woman, not ironing underwear! It sounds like you had a camera focusing in our kitchen with all your wonderful, similar memories! It’s so special to know that others were participating in the abundance of the “food madness” and joy! Keep it up–great traditions never go out of style! I loved this article! You definitely have your mother’s gift with words. Hope “Momma & Papa Leite” are well. Much love to them both! Happy Mother’s Day Momma Leite! Thanks, Joanne. Yep, both momma and poppa are doing okay. I think she’ll pop in here sometime soon. We were delighted to read your comment. David tells everyone that his Mom gets the “gift with words” FROM HIM! What do you think of his humor? hee hee. We send our love back to you. I LOVE the humor Auntie! I really like the picture with the article too! You are BOTH extremely gifted with words. It never ceases to amaze me when I hear either of you speak publicly! BTW – I am very much looking forward to getting this cookbook! I just love this story!! Growing up in a Portuguese family I can so relate to the NO measuring tools. I also had to cook side by side with my Vo to learn her recipes. I can hear Mama Leite as she makes her Mama comments. You have captured her voice exactly. Too cute. Got to love her and Dad. Thanks, Beverly. Yeah, too a while to get that Momma Leite voice right! Growing up in Portuguese families links us together forever! You’re right about David “capturing my voice!” I have to smile when I re-read the story. I hear myself and it cracks me up! Hey, girl, we both love you, too! Dear David & Momma Leite, Loved, loved, loved the cookbook and also this article. The only thing missing from Mom’s picture is she needs more lace around the collar and wrists! I can just picture her running around the kitchen. Reminds me so much of my mother just kind of throwing things in the pot and whatever it was it came out great. Happy Mother’s Day! Love you! Yes, Momma Leite is a bit lace-less, isn’t she? Have to talk to the illustrator! Thanks for writing, Carolyn. Thanks for your suggestion on the lace thing! Hey, I’m “game!” Do you think the lace will “cut” into my Ginsu image!!!!! Hee hee. Love the story. Oh, and “Damien”? Honey-lavender dressing? Details — or approximations — please? Now, Renee, I don’t really remember how I made the dressing. (My God, I’m becoming my mother! No measuring!) I think it was a regular vinaigrette with a tiny bit of honey and a few lavender buds for good measure. Dearest David and Momma and Poppa Leite. Thank you for the post of your story about your cooking adventures with your Mom. What you’ve created to document are living historical memories of recipes that I’m sure go back generations. I’m blessed to know your parents personally. I laugh at how you’ve captured her persona in your animated words. You are truly fortunate to have each other and your gifted talents. My family rearing was based on Portuguse and Polish foods with American and other cultural cusines thrown in. The rewards of cooking are in the aromas that waif into our kitchen bringing back a rush of memories of family times, good company, celebration of holidays and good, delicious, wholsome food created with much love and without measuring impliments! God bless you all and thank you for sharing with the world that family love, nurturing, and caring does exist and lives on strongly and food is one of those delectable outlets! Victoria, thanks for your comment. Isn’t it amazing what the smells, flavors, and textures of food can do to memory? They bring it all flooding back. And food is definitely one of the way my family is and has been bound together. Even in the toughest of times, someone was always saying, “Sit down and have something to eat.” Didn’t make the problem go away, but I felt better about things. Thanks for your nostalgic memories and comments! How about the invitation to neighbors and everyone else within a five mile radius whether we knew them or not???? They made for great times! It’s so comforting to realize that I’m not alone in the “no measuring” arena! God bless you, too! Nothing beats a great Portuguese meal. I love reading these great stories David because it brings me back to a what seemed like a simpler time. I’ve truly been blessed and spoiled to have eaten from my godmother Momma Leite’s kitchen as well as all my other aunts as well as my own mother’s. I wish them all a wonderful Mother’s Day!!! Dan, so good to hear from you! You’ve got right: all of our aunts (your mom included) fed us kids really well. Happy Mother’s Day to Aunt Lou. It’s your cousin Susan. GREAT TRIBUTE TO MOM…LOVED IT! Yes, I did laugh because it’s the same way my mom cooks, and all of our tias, and avós. To this day, I still get anxiety upon entering mom’s kitchen as she cooks, and even though I’ve been cooking for my family for years; she still insists, her way is the right way =) And we love them for it! Seeing as I’m now a mom, I’m cooking/teaching my girls do it my way too “because it’s the right way.” I guess mom’s really do know best. Thanks, Susan. 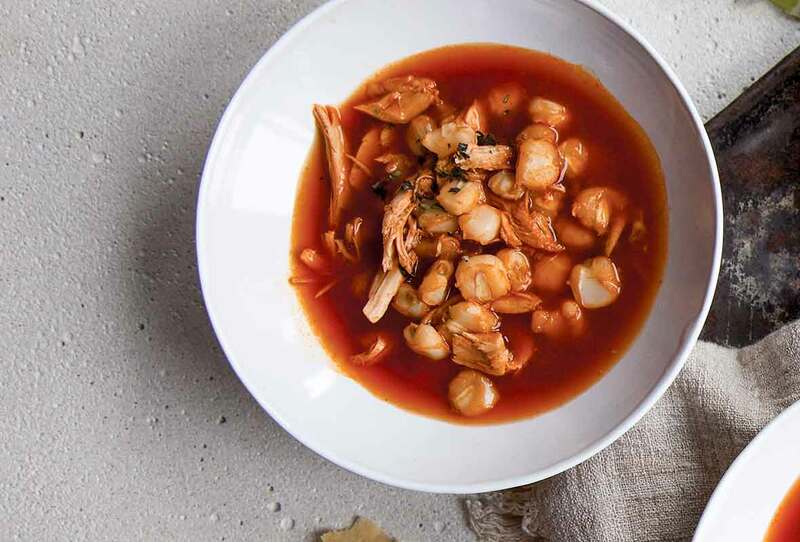 Do you cook Portuguese at home? Yes I do; not alot because mom still spoils me with my favorites, but my girls love galinha assada, and I’ve mastered it in the crock pot! Mom is making the famous baked beans this Sunday, and we’re all looking forward to that. Danny said it all; it was a simpler time and we were all spoiled. They all deserve the Happiest of Mother’s Days. Really, galinha assada in the crockpot…you’ll have to give me a heads up on that one. Keep teaching the girls your way–the “right way,” and maybe one day, they’ll write about YOU! The right way goes back many years. Indeed, Mom do know best. Surely, you recall the family gatherings, whether up north or here in the Southcoast–they were major food events. We love you all. Thanks, again. I only wish I could cook like this. I raised four kids, and I still cannot do it. But they all grew up anyway. I am sure none of them can cook like this. I am sure they all have measuring cups and etc. Keep everything coming. Janet, you don’t have to be an improviser in the kitchen to cook well. I know lots and lots of cooks who use measures—and all bakers certainly do. You’re right, your kids all grew up beautifully whether you could cook like this or not! I enjoy the wonderful talks we have about David and his work while we sit in Noreen’s beauty shop! Happy Mother’s Day! Hi David, I just want to see some of the video you took of your Mother in her kitchen! Knowing her, these have to be a hoot. This is a wonderful tribute to a great lady with extra spark. Hi Claire from Westport! :) Yes, this whole caper was a BIG “hoot!” I cooked, David taped, and Manny was shaking his head! Hee hee. “Sparks” right back to you and Bob. Claire, after all these years I still have the videotape, I just no longer have a VHS player. Got to get it transferred to a DVD. Hi Joyce, thanks for sharing your lovely Mom’s memories with us. Yes, those old pans were the best. There was something about them that made cooking special. We’re glad we know you, too. My pleasure, Joyce. Thank you for the kind words about the parents! 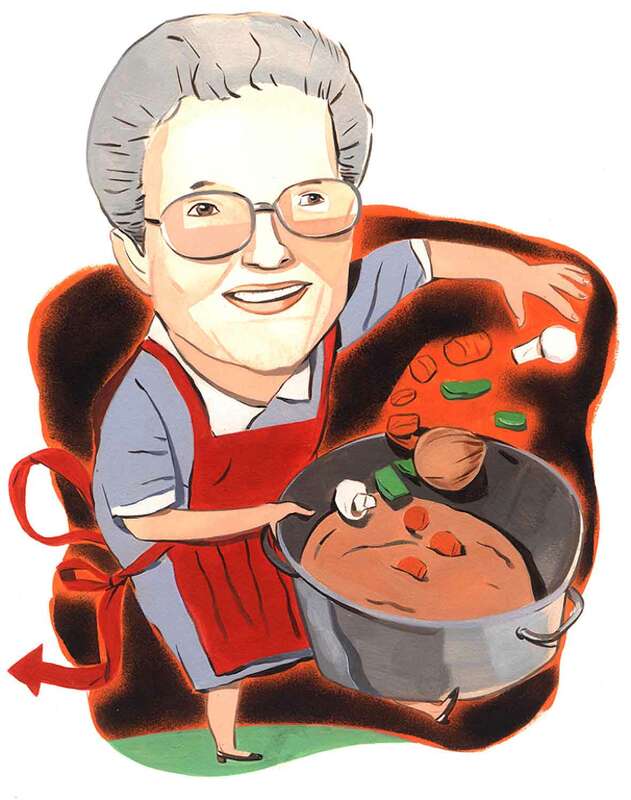 Hi Cissy, your Grandma reflected the “old fashioned” way of cooking–no measuring, no written recipes–just love, a big heart to feed the family, and joy along the way. Hi Elaine, Our names in lights, eh? Only God knows what David will do with us next??? Hee hee. Thanks for your kind words–we love you and Chris—and your mom, Suzie, too. Well, Momma Leite was a star long before I came a long. I like to say she makes Mamma Rose in “Gypsy” look catatonic. Love the article, I almost could hear Mom making her comments. I so enjoy hearing about your family connections, it reminds me of my youth. Hi Senhora Dona Maria. Yeah, the hilarious comments were flying all over the kitchen as we taped. If you don’t believe me, ask David to come by and tape you! Hee hee. From the many responses here, it appears that we were all brought up in the same family–the same kitchen–and neighborhood. Beautiful. It seems some things never change, right, Dona Maria? What an absolutely delightful tribute for any Mom. Momma Leite cooks like I do. It’s in the Portuguese heritage. I can totally relate to this wonderfully entertaining article. What a proud Mom you must be, my friend. Hugs, Karen T .
Hi Karen, you say cooking is in the Portuguese Heritage. Hey, girl, how about in the Portuguese genes? Yes, we’re very proud of David. Hugs back to you. Karen, do glad you enjoyed it. David your mom forwarded this article to me. Thanks – only briefly know your mom but know that she is a wonderful person and friend to have. Thanks for giving me a moment to stop and reflect upon my French mother (who is in Heaven looking down – I also miss her and dad a lot) who cooked in the same manner. What a tribute Thanks. It is “medicine” to read this story a second time! I thought the devil wore something else! In fact I thought I saw the devil running like “hell” and he was being chased by someone in a red apron!! Dear “Joe,” We’re rolling on the floor laughing and we mean laughing! Okay, we just got up. Your response is a classic. The real devil doesn’t have a chance against the three of us. Hee hee hee. You know you’re loved! I love you, Momma Leite! I want the whole world to know how much I love my Mom, my Nana, and my dear friend Momma Leite. I am so blessed to have each one teach me a lot about love, life, and cooking! Thanks so much for including me in the elite company with your Nanna and Mom. Nanna’s apple pie sounds heavenly! By the way, you’re a great “student.” We love you, too! Barb, what a great tribute to your grandmother. I miss mine, too. It was she who got me into cooking, all those many many years ago, when I was a kid. What a wild and wonderful mother you have! We had lunch with a mutual friend 3 yrs. ago and have kept in touch ever since. How fortunate you are to have such memories. Hi Marylou, amazing! When we met, what were we doing? Yep, eating. There’s that “food” word again. Be sure to pass on some of your cooking secrets to that beautiful, new grandson of yours. Wild doesn’t begin to describe it. She’s a totally lovable, fabulous nut. Thank you so much for sharing! This was great! I perfectly visualized your mom doing and saying all the things you described, with her expressions and all! She is one of my favorite ladies! And I love the illustrations! They reflect her greatly! Whoever did the illustrations, they made my day, just as you did with the story! God bless. Hi Wendy, the illustration was done by Amanda Duffy, and extraordinarily talent artist. Hello, Wendy, you made our day, too, with your comments. Yes, it appears that artist, Amanda Duffy, captured “the real me.” Yikes! Thanks for making me a “favorite!” You’re the main reason I shop at CVS! Hello to Chris and the kids, too. hahaha…I’ll say hi to Chris when I meet him! In the mean time, I will keep company with Jim! Sorry, I couldn’t help that one! See you soon. David, I love when you write of the goings on of your family and your upbringing. I have wonderful memories of your grandmother, your dad and that wonderful woman you call mom! Thank you from the bottom of my heart. Thanks, Greg. I have some fun and special memories of that big ole house with all your family in it. That was a loooong time ago now. So you remember those “golden times” back then? It was always a joy to have you and The “Case kids” at our home, enjoying great company and, as always, eating “goodies!” It’s so nice that we connected again through David’s writing career. Hugs to you! David, your mother sounds like quite a lady. She cooks the way my grandma did. I don’t know hoe she made those amazing matzonballs but they were the best on the planet. I never saw her measure anything at all and miraculously those loving bowls came out of her kitchen. Pleasure spreaking with you both this evening. Mom loved the picture as did I. We love you both! Hi David, Yes, it was amazing that the three of us were speaking together online. Amazing! We’re glad your Mom enjoyed the story and caricature! God bless you both and know we love you both, too! How did I miss this writing? Absolutely loved it. I have always been one to wing it and I can already see my older daughter following my steps and hence the reason baking is so strenuous for me. But since recipe testing and forcing myself to actually follow a recipe, I see the benefit of it, especially now as I am slowly going through every single recipe my grandmother wrote in her life. What comes through even stronger in this story is the HUGE bond there is between you and your mother, which is priceless and canNOT be translated in “cups and measuring spoons” as the winging it is what makes it special. Imagine if your mother would have actually followed recipes, she would have simply given them to you and you would have missed all those precious moments you two spend. I AM thankful I have my grandmother’s writings, but even happier I had the chance to spend many days in the kitchen with her and her right hand lady, Maria, a traditional Portuguese cook who would yell at my grandmother for refining and modernizing the traditional Portuguese dishes! Sofia, you’re so right. There is a special bond between cooks–whether mother and daughter, mother and son, grandmother and grandchild. History and family tradition are passed along sitting at the table shucking fava beans or stringing kale. And that’s something that can’t be measured, but can be felt. And you hit it on the head: My mom and I have this incredible bond. She and I couldn’t be any similar. It drives The One crazy! David, will you please let Momma Leite know that since I read this, every single time I make chickpea or bean soup, I cannot help but think of her glaring at the pot and willing it to boil, and I try to channel her… !! Dear Ling. Thanks for your precious words about “willing the pot to boil!” Hey, Ling, every lady who’s in command of her kitchen will do wonders, including glaring and “willing pots to boil!” We hope you’re as successful! Hee Hee. God bless you and welcome to “the family!” :) It’s a joy to know that I’m thought of in such a humorous manner! I’m Portuguese and was brought up in a kitchen much like yours. So much so that I can hardly ever follow a recipe through exactly, even when it is my own, and find it incredibly difficult to give anyone recipes for anything I do! Thank you so much for your writings and your sharing of an American take on the Portuguese food I know and love! And congratulations, it always thrills me to read anything you write! Helena, thank you for your kind words! It’s amazing how much the cooks in our families know–all without recipes. I wish you the best with your cooking. And if you have children, do try to teach them–even if it’s just by sight. We need to keep our recipes alive and growing. Helena, good for you! My grandmother started me on a chair pulled up to the counter. Worked like a charm. I have two daughters. I started them both in the kitchen from the moment they could sit on their own. I would get a tablecloth, place it on the floor, and sit them on it with the ingredients. Their first kitchen duties were to peel garlic and onions as well as the remove the leaves of parsley, cilantro etc. Of course I would get their work partly chewed off, but it never bothered me as the fact of tasting is half the battle for them to become great eaters when older. Yet your living in Portugal is a huge help with children, as they get used to from an early age that food is king! Kelley, that is such a common story, sadly. But the good thing is you did get some of there recipes. Treasure them. Oh David! My mother-in-law is Portuguese…I TOTALLY UNDERSTAND!!! Loved this post! Thank you, Jana. Portuguese women cooks are a species unto themselves, aren’t they?! I had lunch with your mom today and what a huge surprise I got!! Thank you kindly for the cookbook “The New Portuguese Table” signing it too! I was so happy to see the recipes I have been so longing to learn. I do so love your mom dearly, she is a great friend and loving person, and I cherish our time together. Thank you again for your thoughtfulness and kindness. I will hopefully make you proud when I cook them. God bless you and your beautiful kitty. Penny, it was my pleasure. I do so hope you enjoy it. Love from me, The One, and Devil Cat. Thank you both – David and Mama Leite. You are so fortunate to still have each other. God bless. You are more than welcome, Donna. David. Every time I read your Devil With a Red Apron On, the image of you as a young man, fresh from the world of advertising, comes to mind. You are walking into the Symposium for Professional Food Writers, having received a scholarship for your writing. You are shy ànd open to this new world of connecting food with the community of the table with love. We welcomed you with open arms, and you’ve thrived here ever since. Thank you, Toni. And, yes, so much has happened since I walked into your Symposium in 2002. It was a launching pad. That’s where I meet Barbara Fairchild, then the editor-in-chief of Bon Appétit, and I got my first magazine article because of her and you! VERY Well written,” Kiddo”, Thank you for a most interesting read. It brought back mems of my Mother too…God Bless all the mommies in the world. The ones that are here and the ones that will always be a part of all our mems…Now that I am a mom, I look back and still get a chuckle, on how I learned SO much in the kitchen. Thanks, Carol! And Happy Mother’s Day to you. debbie, those recipes are treasures–save them! When The One’s mother passed, one of the thing he was so grateful to have was her collection of handwritten recipes. Sure, some of them were cribbed from the back of packaged foods–like the potato salad recipe from the Hellmann’s jar–but to have them in her hand was like having an archeological record of the foods she cooked, the foods she liked. They’re precious. “That’s what you do when you’re Portuguese: cook and bequeath land.” Ha ha, so true! My family is Spanish. Must be an Iberian thing! When my grandmother was teaching me to cook, a measuring cup was an empty devotional candle glass. I went to culinary school and I’ll never be as good a cook as she was. I love your writing! “An empty devotional candle.” You can’t get any more authentic than that, can you, Teri? I love it! Hey Miss Ellie! So happy to follow your Son’s Cooking! Now I may be able to cook a few Portuguese dinners myself…I too am old school, I have all the measuring items, but I do rarely use them, only in baking! Dinners are what is available here too! Miss you all and love you much! Oh, David, the same to you!!!!!! Amazing story, I can almost picture that kitchen. David: I bet your mother’s cooking is wonderful, but she’s right, there IS no standard for Portuguese cooking except, “This is the way MY grandmother made it.” There are fierce arguments about every dish because it was slightly different in every village and even from the next-door neighbor’s. (“Carrots in kale soup? You gotta be kidding me.”) It’s all good. I hear you, Gloria. Especially about the arguments!